Above: Rocky "Island" at Sandwood Bay, thought to be the UK's most remote beach! 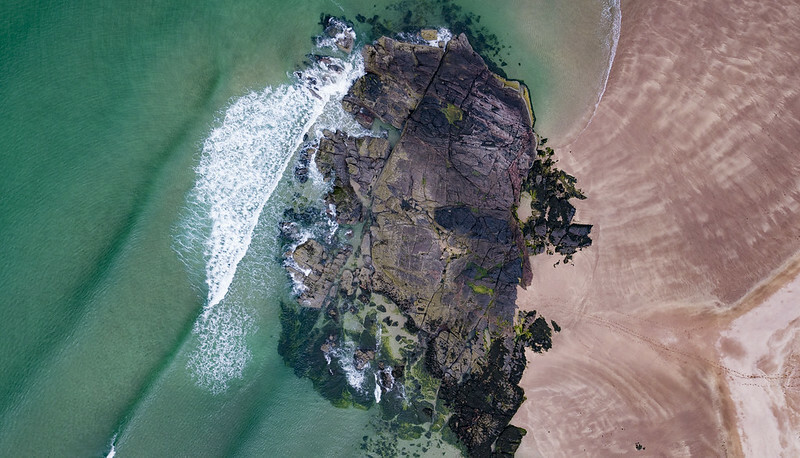 With the advent of UAV's for aerial photography and aerial drone filming, it is now possible to take several different types of shot from different angles, giving different results each time. Whether shooting aerial video for film or TV, or shooting still aerial photography, these angles are used, in video they can be mixed. Looking across and down, usually includes the Horizon. Giving a perspective view of the scene plus background, the High Oblique is the most common type of shot. It is not a close up shot, so wouldn't be used to isolate a building or property, it shows the situation in which the property sits in. High Oblique images are taken at around 30 Deg, covering a large area. 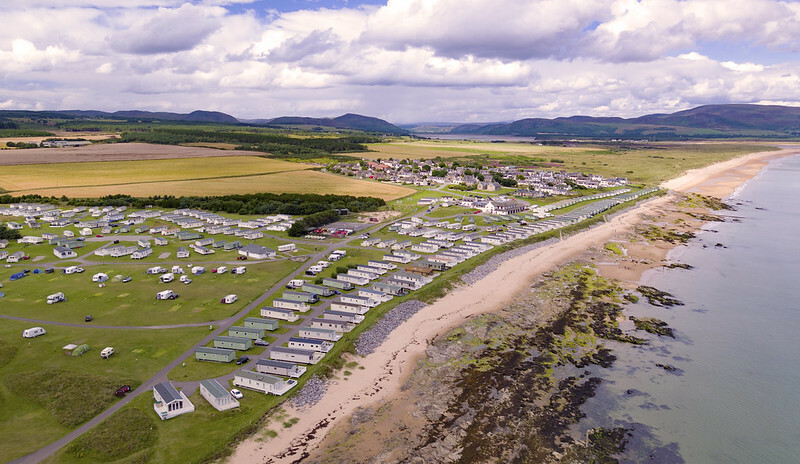 Above: A high oblique aerial image, this image of of a caravan site at Embo, Sutherland. 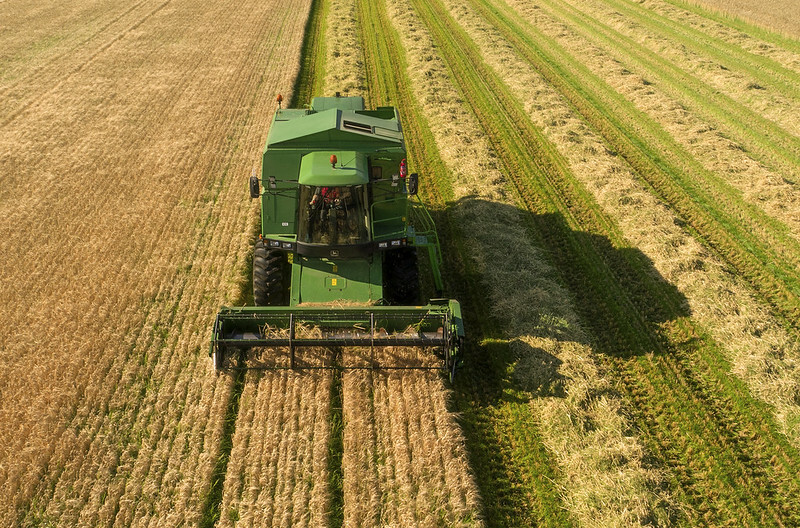 The Low Oblique images do not show the horizon, and are usually taken to isolate a property, estate etc, you get more detail but less information on where the property sits in relation to the surrounding countryside. Whilst a true vertical image will be straight down, showing the layout of everything within the frame in relation to other buildings or objects, you wont see the front/side etc of buildings, only the roofs. The Near Vertical image gives a bit of perspective, so is nice for large wall canvases, especially when hundreds of images are stitched together to create a large detailed Near Vertical image. Some clients request near verticals and some vertical, this is down to choice. 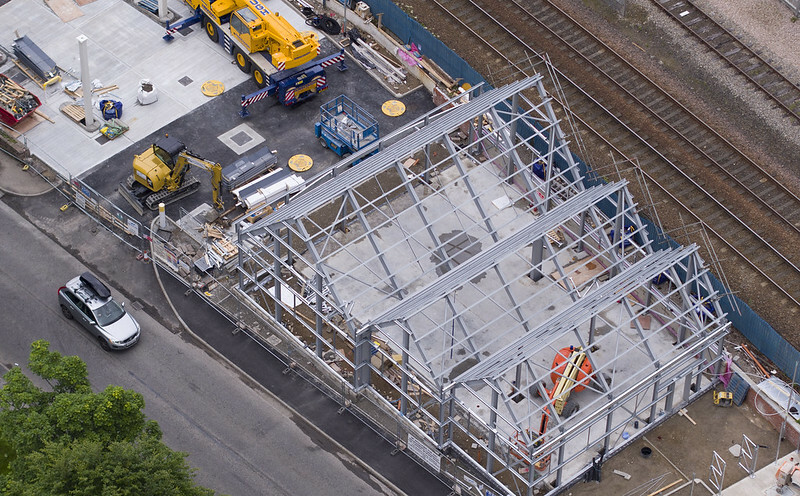 Above: A near vertical aerial photograph, this one is of a new build M&S convenience store. Looking straight down, the vertical image is great for building sites and planning. Again like Near Vertical, a series of overlapping vertical images can be taken to create massive image dimensions. 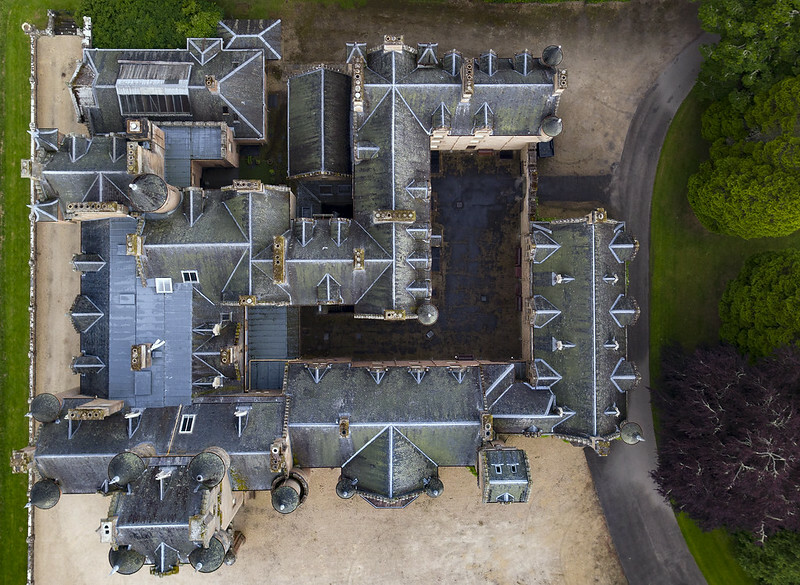 Above: A vertical aerial image, this one is of Ardross Castle. 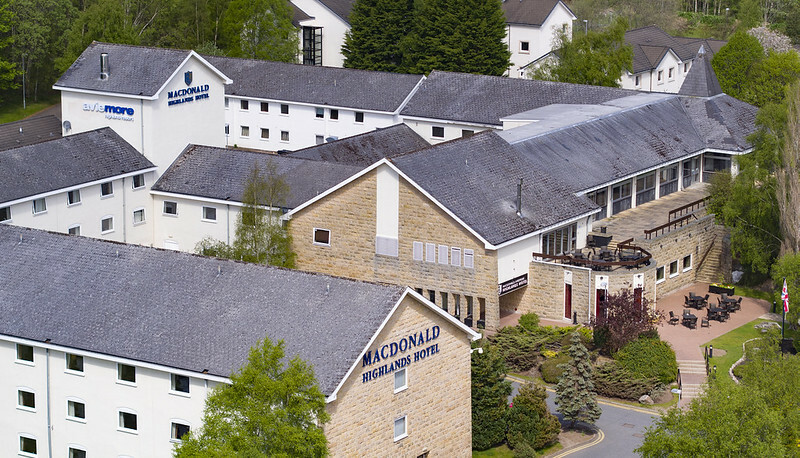 Close ups are great to frame a building that is being marketed or for brochure/website use to illustrate a premises. A panorama can either be flat or wrap right around 360 Degrees. Panoramas can be created, the output can be a flat large panoramic image or SWF file for the client to embed easily in their website. Above: We dont just use drones we have a 10 Metre pole too for built up situations, this panorama was taken at the Belladrum Festival, Scotland.